Hey fellow HHJs (healthy hair journeyers)! I am sorry the frequency of my postings have been a bit unpredictable lately. I have been travelling a lot. Over the past two weeks, I’ve only spent four nights in my own bed. I’m so happy to finally be back home again. As I indicated in a prior post, Behentrimonium Methosulfate appears to be a good ingredient for my leave-in conditioners and moisturizers, so I decided to do a little research. For any vegetarians, don’t worry. 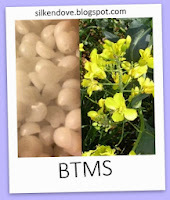 Behentrimonium Methosulfate is derived from colza oil that is taken from the European colza plant, which is often confused with the plant used for rapeseed oil (aka Canadian oil or canola oil) because they are in the same plant family. Despite its oil origin, Behentrimonium Methosulfate is water soluble. Also, although it is technically a sulfate, it is not a cleansing (aka hair stripping) sulfate. Not all sulfates are bad. Without getting too technical, a “sulfate” just means something is a salt of sulfuric acid. Behentrimonium Methosulfate is usually used as an emulsifying conditioner. It is a great conditioner because of its ability to bind to the surface of your hair and coat it, though not in a bad way. This reduces friction, which can cause damage to the hair strand. It also reduces static. In my products, it is usually paired with cetearyl alcohol, but sometimes it is paired with cetyl alcohol and butylene glycol (a humectant). For simplicity, I’m just going to call the combinations BTMS, which is how they are usually identified. 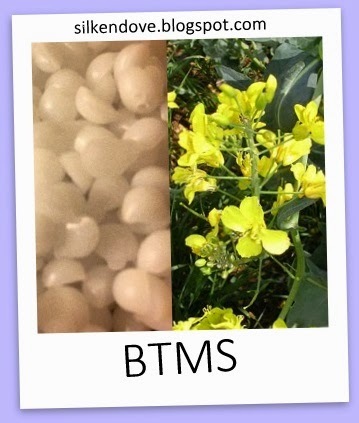 The “BTMS” is frequently followed by a number to indicate how much BTMS is actually in the combination (ex: BTMS-50 is 50% Behentrimonium Methosulfate). The cetaryl or cetyl alcohol assists in keeping the BTMS on your hair. Swift Craft Monkey has a great article on how this works - http://swiftcraftymonkey.blogspot.ca/2010/05/chemistry-of-your-hair-adsorbing-and.html. If you want to know of other products that contain BTMS, Environmental Working Group’s Skin Deep Cosmetics Database has a list - http://www.ewg.org/skindeep/ingredient/700658/BEHENTRIMONIUM_METHOSULFATE/ (click products). I discovered at least one new product from this list that I think I now want to try -- Alba Botanica Leave-in Conditioner. Has anybody tried this?